聖誕新年臨近，每逢大時大節，各行各業總各出奇謀，除減價戰以外，贈送禮品吸客可謂重中之重。而各大企業如匯豐銀行、Nike及Puma等都會為客仔度身訂造禮品。負責擔此看似微小、卻重要的任務是Matrix Promotion、GiftU創辦人梁文安（Ray）。今年40歲的他，15年前就投身此行業。不過，並不是一帆風順。這個只用兩萬蚊起家的ONE MAN BAND，早上cold call做生意、晚上做倉務員，由本來想要放棄，到獲得了一個由其為當時安信信貸的負責人、前一田百貨前行政總裁莊偉忠而給予的機會，現在到每年做近億元營業額的生意，員工70人。雖然站穩陣腳，但隨住經濟環境轉變、客人對禮物口物的改變，挑戰每日都有。Ray畢業於香港嶺南大學市場學系，他慨嘆畢業在最不逢時的時間：「我於金融風暴之後的99年畢業，2000年科網爆破，相信大家都知道當時環境。」找不到理想工作，惟有先在印刷公司當自由銷售員謀生，到處找企業下印刷訂單。當時有顧客提出紙品以外的印刷產品需求，他的創業意念因此萌生，其更回想起：「大學開放日，不同的商戶會擺攤檔，例如銀行銷售信用卡會送迎新禮品，但這些我全都不想接收。」他認為禮品行業發展空間大變化多，但工廠的MOQ（最低訂單數量）很高，客人未必承擔到如此大量的訂單，成為公司訂製禮品的一大障礙。「有第一單生意前，我每一個月也想放棄。」當時雄心勃勃的Ray向家人借來了2萬元創業，並租下了200呎的辦公室開始業務，沒任何人脈的他每天也會從地鐵站拿走一本免費招聘雜誌，當電話簿使用，逐一打去那些公司推廣企業禮品訂製服務。「如當時只做生意，基本上是不夠交租及償還學貸，所以我晚上就當超市倉務員，週末就去做內地樓盤地產經紀。」來來往往的「Cold Call」階段維持了整整九個月，仍食白果。終於有天收到早前曾「Cold Call」的客戶來電，其為當時安信信貸的負責人、前一田百貨前行政總裁莊偉忠；他表明安信信貸希望開拓菲傭貸款市場，望Ray能按此方向設計企業禮品。招一：貼地度橋 令禮品變搶手貨「我走去皇后像廣場，觀察她們究竟需要什麼，發現她們喜歡圍著聽歌跳舞。」Ray想出以收音機作為菲傭信貸的禮品，成功得到首張30多萬的訂單。「而活動推出後一個月，整個皇后像廣場中的三分一傭工都有這部收音機，算可標示這宗生意是成功了。」2003年沙士肆虐，政府放寬自由行政策，當時的香港地鐵（MTR）需要配合宣傳，欲製作一批價值20萬的禮品派發給自由行遊客，Ray於是聯絡地鐵公司的市場部，了解到他們想製作普通文具：「要說服客人接用你的方案，重要的是用對的方法接觸到他們的目標客戶。」其大膽提議派發正面是地鐵路線圖，背面是本港緊急聯繫電話的「拉紙筆」，最終得港鐵接納。招二：不打廣告攻直銷Ray目標客戶群是企業的管理層，他不需大規模落廣告，反而設立30多隊直銷團隊，按企業範疇的分派給各團隊跟進。同時.. Many companies use different methods to promote their own brands, such as holding promotional events, distributing gifts, etc., and some will distribute souvenirs at the event in order to achieve more. In order to let your consumers to have a more remarkable impression towards your event, there are a few things you must pay attention to when ordering a souvenir. GiftU, which has many years of custom gift experience, offers you some tips and introduces some suitable souvenirs.Add Symbolic element related to the event It is better to add some symbolic element which is related to the event to your gift, for instance, slogans, logos or mascots of your activity. When your customers bring your gifts back home or use them in their daily lives, they will eventually think of your event and have a deeper impression of your brand.Gifts should not be too bigAvoid ordering some oversized souvenirs, otherwise customers will feel too troublesome and not willing to get your gift. Large gifts are not convenient to carry, and participants will not take the initiative to accept souvenirs. 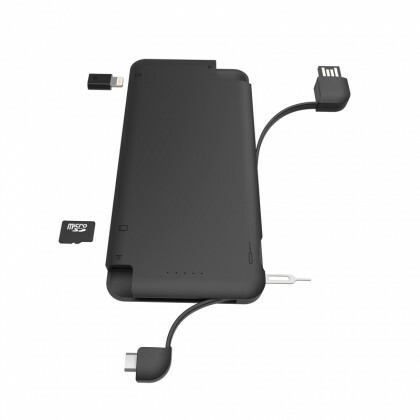 Therefore, you should choose some smaller gifts, such as chargers, ballpoint pens, and carry them around.Gif..
Electronic products are getting more and more popular in recent years. People start to replace their watches with smart watches. 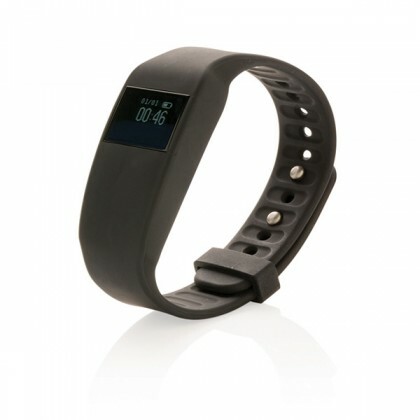 Have you ever thought of customizing smart watches and give to your customers? GiftU – gift customizing expert introduces you two smart watches so as to bring an extraordinary experience to you and your clients.Smart WatchSmart watches are equipped with a variety of functions, so you can directly dial the phone, have ringtones for incoming calls, and sync information display (Android only). Easily contact your friends and stay in touch all the time.A variety of basic functions, such as alarm clocks and stopwatches, allow you to manage your time well, don't have to be worried about being late for work or appointments so as to build a good image.You can monitor your health, have a pedometer function, calculate how much you walk daily, keep you healthy all the time. In addition, there is stereo music playback, contacts syncing and call recording, remote mobile phone camera, smart watch is simply a mini version of your smart phone.Available in black, white and gold, there is always one suitable for you.Bluetooth multi-function smart watch It can be ..
To purchase gifts suitable for some VIPs, you have to be aware of things such as taste, value and practicality. With years of experience, GiftU introduces you to some VIP gifts, so you can order some high-end business gifts.Airo Primo Luxury Wine Set (P911.921)VIP customers often have to go out and meet customers, sometimes they will have a mini meeting while eating. At this time, they need a wine set to highlight their nobleness and taste. XD Design's premium range of wines includes: Ora wine bottle opener, a pair of wine stoppers, champagne stoppers, decanters and other five-piece suits. 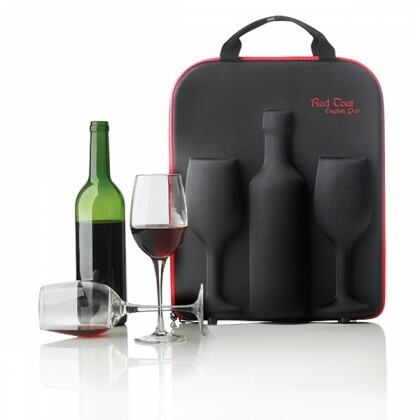 Distinct Classic Wine Privilege Gift BoxThis wine gift box is simple, light and portable, easy to use all the time. Round foil cutter, one-handed operation, level placement, 360-degree rotation, easy opening. It also includes a wine stopper, and the streamlined body is designed to fit the bottle mouth. High quality bottle opener, color matching, good touch. Metal ballpoint penBusiness people often have to sign, and metal ballpoint pens are definitely their daily necessities. In addition to putting down your signature, you can also use this pen to jot down some important notes. The metal.. In recent years, many companies like to order gifts, can do some advertising, maintain relationships with their customers meanwhile carry out brand promotion. There are various gifts on the market, don’t know what to give to your customers? 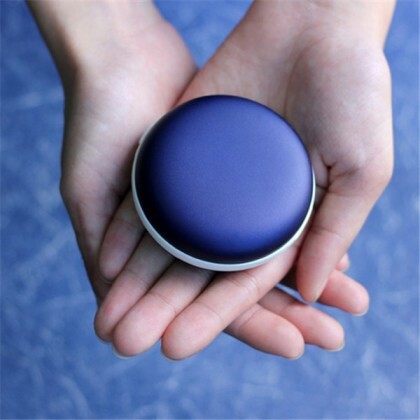 GiftU – a corporate gift customizing expert can provide you some gift ideas which can be put at your home.Bluetooth speaker humidifierThe humidifier provides you with moisture all the time, especially in autumn and winter, to moisturize your skin at any time. 200ml large capacity water tank, can work continuously for 6 hours, intermittently work for 12 hours. With Bluetooth speakers and Bluetooth 4.0 transmission technology, you can enjoy music. 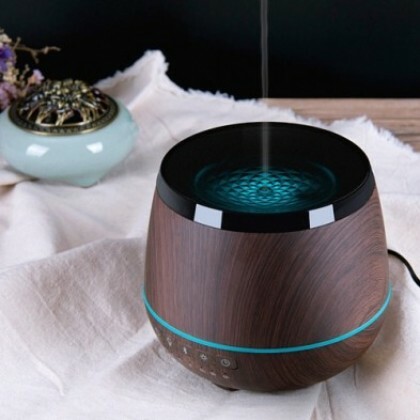 The Bluetooth Speaker Humidifier has lights, available in four colours so as to decorate your home. Cactus coasterCoasters can be seen everywhere at home, yet the cactus coaster is heat resistant, while keeping your table dry. The pot can be used as a storage box, so that you can collect some small items, such as the clips, erasers, ball pens etc. The cactus appearance can add some colours to your home.3D print moon light The PLA used in the 3D lunar lamp is extracted from corn straw, which is ..
Due to advanced technology, people tend to rely on gadgets to bring convenience to their daily liv.es. It is important to have some smart tools with us to have better efficiency.GiftU – corporate gift customization expert who has experience in making business gift, exhibition gifts, promotional gifts, customer gifts and advertising gifts, introduces some of the smart gifts which brings a little more convenience to your daily lives.Mobile phone wide-angle lens2-in-1 lens kit, kit includes macro lens + wide-angle lens. These two lenses are convenient for taking selfies or taking landscape photos, allowing you to you’re your own unique photos. To use the wide angle, simply attach the two lenses to the supplied case. To use the macro lens, simply take out the wide-angle lens and install it in just a few seconds, which is quick and easy.Mobile phone stand control pen It combines three functions of writing instrument, stylus and mobile phone holder. Can support your phone so that you don’t have to hold it with your hand all the time. Nice appearance, smooth writing and durable. Suitable for use in schools and offices, both practical and special, an ideal gadget gift.2.4G+5G Wireless..
Summer is coming, families love going outdoors to enjoy the sunshine. Sometimes, it is scorching hot, it is likely to have heat stroke or sunburnt. GiftU- a corporate gift customizing expert has served more than 15,000 clients by making various business gifts, exhibition gifts, promotional gifts can provide you different summer products in order to give you customers an enjoyable summer.Bopp Fruit Sweetheart CupPatented by XD Design, this fruit cup not only replenishes water, but also helps you replenish your vitamins. Put your favorite lemon, orange, blueberry and other fruits into the built-in filter tube, by adding the right amount of water, you can have delicious, nutritious juice instantly. The cup is made of environmentally friendly Tritan material, which is safe and healthy.Customizing this fruit cup as a corporate gift, you can let your customers enjoy the juice anytime, enjoy coolness under such hot weather.Macaroon fan with mirrorThe fan is small in size, easy to carry around, able to cool you down within seconds. A built-in mirror at the button of the fan, can be taken out separately. 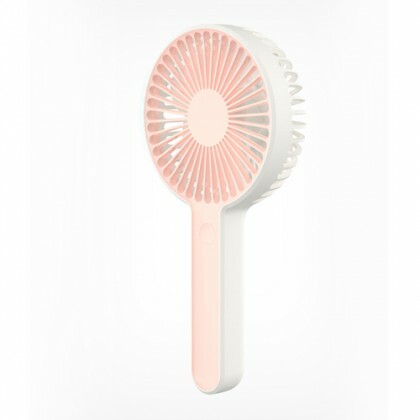 This allows you to keep your image under the hot weather.By giving this portable a.. In order to drive customer loyalty, Starbucks is trying to use digital marketing approaches, for instance, the Starbucks loyalty programme. Making use of China’s market, Starbucks experiment with some new digital strategies like social gifting and AR.With the use of the loyalty programme, consumers can get a reward of a cup of coffee once they have purchased a certain amount. This can help maintaining relationship with the customers as they will be more likely to go back to Starbucks if they would like to get some caffeine. The rewarding system motivates them to go back, so as to earn a free beverage in the near future.To go further beyond this, Starbucks is suggesting that improving their system, like adding audio ordering function to facilitate people to make their orders more easily. By making the system more user-friendly, more people may join the loyalty programme, meanwhile, attracting more customers. 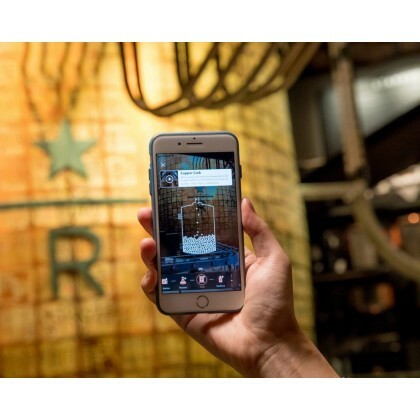 Another attractive feature is that to use AR technology so that customers can try have a taste of communicating with the barista, to get their customized coffee. Having an individualized beverage at ease allow customers to have a better sense of belonging towards to company, and..